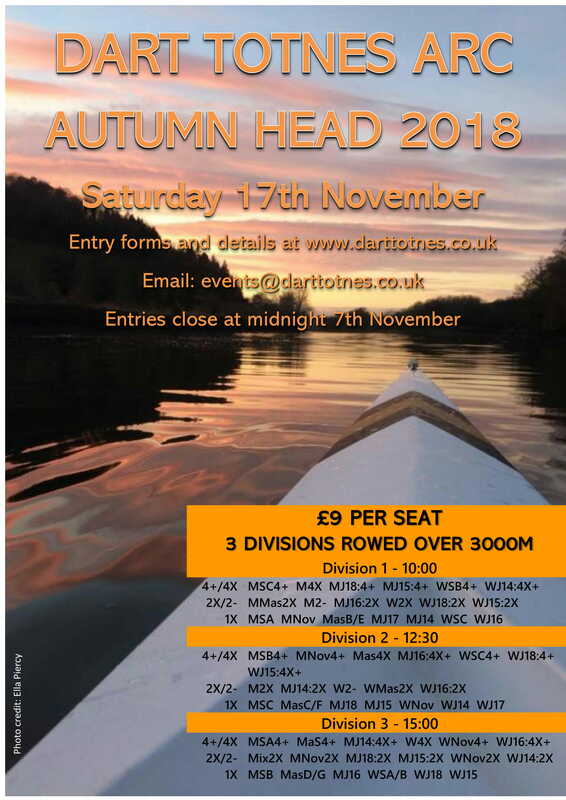 Details: The Autumn Head is an event hosted by Dart Totnes Rowing Club, for rowers to come together and race over a 3000m time trial based course. A course map is provided below. How To Enter: Participants must complete the following form and return to the Head Secretary, please use only this official form, please use one form per crew, please do not write on the other side of the form or use plain paper. Entries are closed for this event! Entry Form: Please click Here for PDF version.